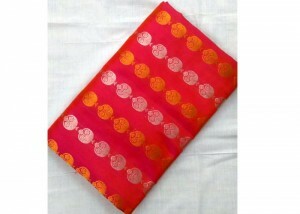 Kanchipuram Sarees are also known as Kanjivaram Sarees or Kanchi Pattu Sarees. Kanchipuram sarees traditionally hand woven pure silk sarees from the village of Kanchipuram from Tamilnadu State India. Special in Kanchi Pattu sarees are shine, rich quality of silk, amazing finish and its latest designs. Kanjivaram Sarees are very popular from South India. Sarees for Indian Women best choice is Kanchipuram sarees for wedding and other occasions. Buy Kanchipuram Sarees Online Based on colors, designs. Kanchipuram sarees collected from expert handloom weavers from Kanchi. prices are very reasonable. Log on to your favourite shopping site and shop now kanchipuram sarees. Happy shopping..